When looking for inspiration for your home, where do you turn? Well, if you're one of their estimated 200,000 readers, the simple answer is Good Homes magazine. As one of the UK's leading bathroom specialists, we're thrilled to be working in partnership with such a popular publication. In every monthly edition, we're proud to show off our latest bathroom designs, while our Stylist Nicky provides expert tips in her regular column. 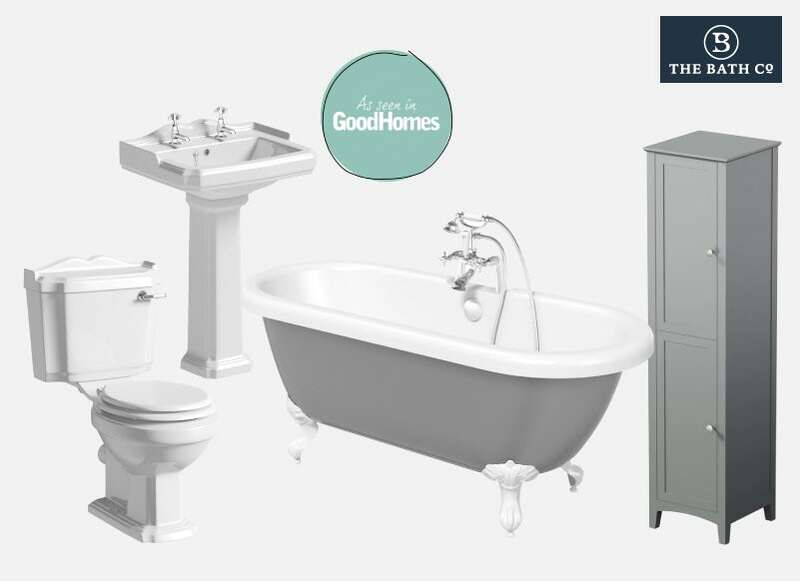 We recently worked with Good Homes to produce 3 stylish bathrooms for the Ideal Home Show 2018, where our Soft Industrial bathroom was given a prestigious "Good Homes loves" award. Good Homes have also shared their own vast interior design knowledge, providing us with some fantastic bathroom styling tips. When shopping our site, you may come across an "As seen in Good Homes" sticker on some of our products (see below). This means it has featured in an article or ad in Good Homes magazine, where you'll find further bathroom inspiration from us. Karen Walker, Editor of Good Homes, tells us which products have caught her eye, focusing on contemporary bathrooms, traditional bathrooms and bathrooms on a budget. "The Mode Bathrooms brand feels modern and on-trend, while still bringing a classic appeal that will stand the test of time. 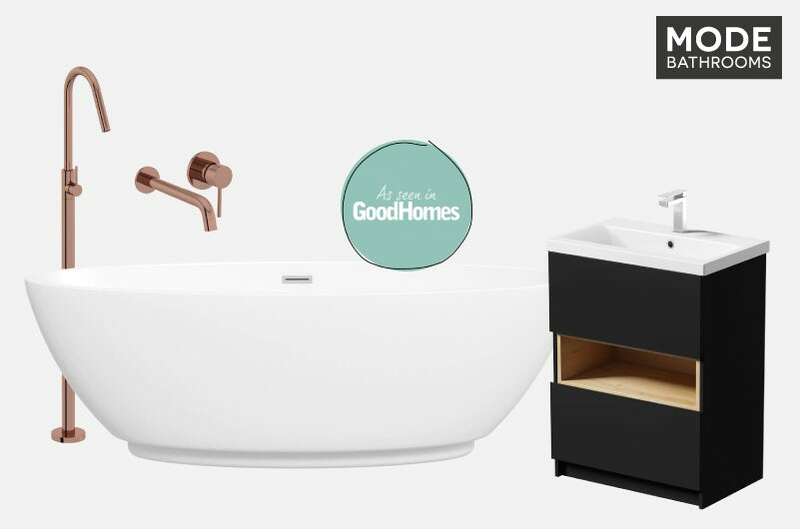 I loved the curved shapes of the Harrison range (especially the gorgeous oval freestanding bath); the option for glistening rose gold taps in the Spencer collection; and the stark contrast of charcoal grey and oak in Tate’s storage units." "A must for lovers of period style, The Bath Co. has a gorgeous array of traditional designs. Look to Dulwich for gorgeous roll top bath options—the iron grey with black claw feet would make a stunning centrepiece. The Winchester range, with its beautifully shaped ceramic sinks, is for those after a touch of luxury, and Camberley’s chic shaker-style storage would work in a modern country scheme, as well as a more characterful home." 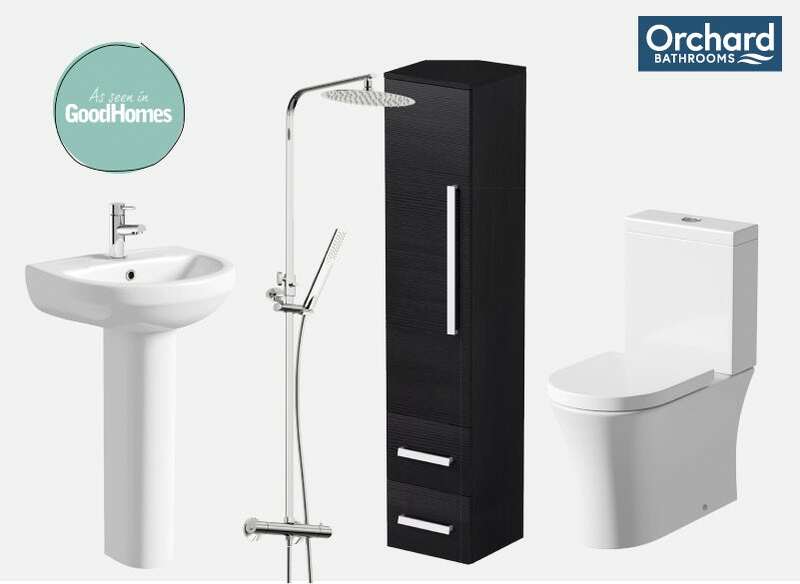 "I was drawn to the Orchard Bathrooms brand purely for its affordability—great for first-time buyers and for those on a budget. Its designs feature simple lines and materials that would fit into any scheme. The space-saving solutions in the Wye collection (the Wye essen furniture package is one of my favourites) are beautiful as well as practical, and I couldn’t believe that the Wharfe range offered a complete bathroom suite with shower and taps from just £455.20." If you're looking for incredible interior inspiration for your whole home, head to Good Homes. If it's just bathrooms you're focusing on, discover more great bathroom ideas right here at VictoriaPlum.com. We chatted with Good Homes Magazine Editor Karen Walker to discover what she looks out for in a bathroom and the things you can do to create a stylish space. Want to see some of our stunning bathrooms for yourself? 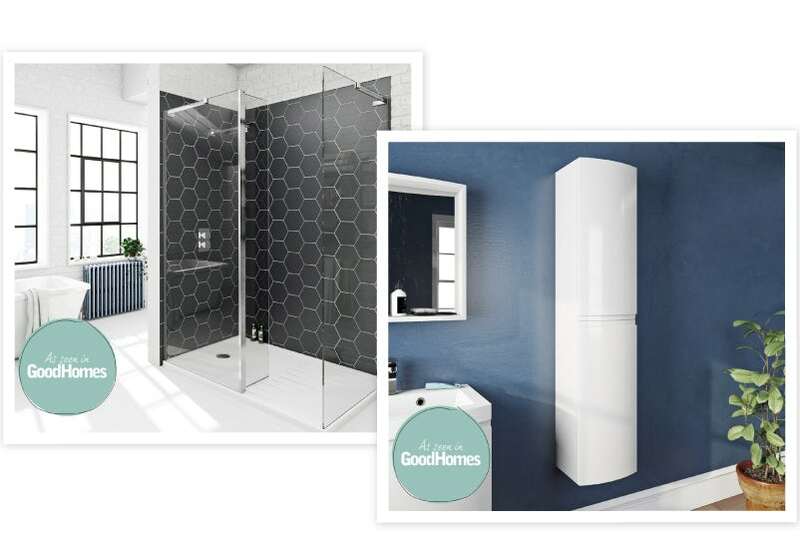 Head to the Ideal Home Show at London Olympia from 17th March—2nd April where we'll be demonstrating 3 beautiful bathroom styles. Didn't make it to the Ideal Home Show 2018? Don't worry... take a look at these 3 inspirational videos which bring our fabulous bathrooms to life.